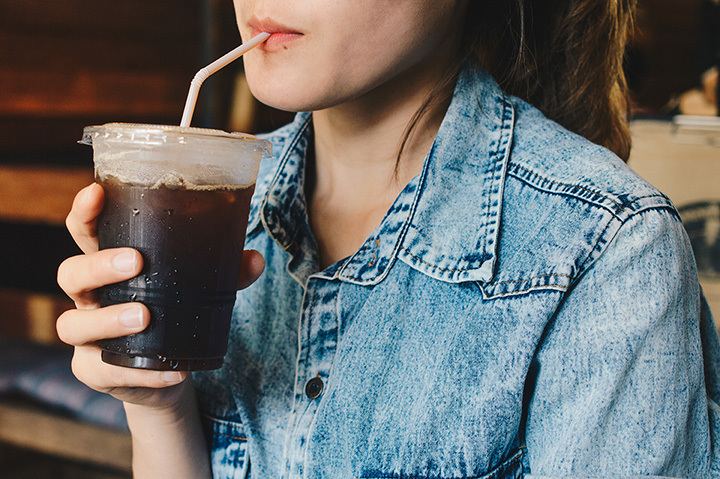 Crafting a delicious cup of iced coffee is not as easy as it may sound. If you think it’s simple, you haven't had a taste of proper iced coffee, a drink that provides all the cooling joy of any iced beverage with the kind of pick-me-up that only coffee can provide. If that sounds like the kind of drink you want in hand on a hot, humid Michigan day—or even on a cold day in defiance of a Michigan winter—check out this list of 10 terrific iced coffee options! Some might call Detroit's Anthology Coffee craft coffee. Some might call it specialty, or even “third wave.” Anthology itself eschews those labels, instead presenting its coffee as a house-roasted affair that's blended not by experts, but by people who have learned by doing for a long period. You can even get those house-roasted beans to take home for your own coffee constructions. Chazzano takes its iced coffee a little differently, converting it into the Brooklyn Born, a kind of coffee soda that comes without the sugars and other such additives of soda's ilk. Best of all, that's just the start—iced lattes, cold brew coffee, and plenty of other options are also on hand at Chazzano's, where a good cup of coffee makes you want to sing. Immediately, Mackinaw Bakery and Coffeehouse wins some points here due to its location in Mackinaw City, which is just a stone's throw from both the bridge and the island of similar name. But not only is Mackinaw Bakery and Coffeehouse well-located, it's also got some of the best iced coffee around, if you listen to several folks who've been there and report that that's the case. Throw in a wide array of baked goods, and you've got the makings of a complete package whether you're headed for the island, the Upper Peninsula, of have just decided to stop your journey in Mackinaw City itself. Saugatuck, with its fascination with all things art, is a natural choice for coffeehouse culture, and Uncommon Coffee Roasters will make a great step in providing that. They've also got some really impressive iced coffee going on, featuring an organic cold-brew operation that actually sells its produce in small cartons, much the way milk came in your high school cafeteria lunches. Fresh-baked baked goods complement the iced coffee and other offerings daily, so you'll have plenty to check out. With three locations in Kalamazoo and Portage—and plenty of other places offering their roasted coffee as part of their menus—Water Street Coffee Joint is a fixture in the area. They'll offer a wide range of food and drink, which is great, but the iced dolce de leche is a particularly welcome treat. The regular iced coffee is pretty impressive too, but this one gets special marks for icing their coffee with ice cubes...made of coffee. With two locations in Holland—south- and recently-opened northside—you'll have the full gamut of options to enjoy here. Simpatico's iced coffee is a lot like most other places, but has one great distinction: low-acid coffee options. For anyone with a sensitivity to acid, this could be the greatest news they get all day. For those less sensitive to acid, however, you'll also have a string of other options from Mexican Amber Dark to Oaxacan Gold, allowing you a wildly exotic experience regardless of taste. With locations all over the state, Biggby Coffee is effectively the Michigan Starbucks. It got its start here, and though you'll find it in other states, it’s very much a Michigan product. Try the iced coffee in several varieties, and coffee freezes in several varieties from mint chip to mocha round out the extensive slate of options that a Biggby Coffee can offer. You'll have a wide range of options for coffee when you hit Grand Rapids, but Deja Brew Coffee Bar is said to be one of the best around. The iced latte is especially recommended by its customers, and when you try one, you'll likely see why. While the coffee is a frequent winner here, don't forget to try the cupcakes, which range in flavors frequently. One of the recent specials was an almond chocolate chip complete with berry buttercream frosting—yum! Home to unusual coffee and regularly rotating art, Lansing's Strange Matter Coffee strives to evoke a complex experience from nearly every sense. Iced mocha is especially prized here by previous customers, and there's a lot more than that waiting for you here. Strange Matter's greatest complement to its coffee is its in-house doughnuts which range from the simple like cinnamon sugar to the elaborate brown butter pistachio. Even Upper Michigan, which already endures its share of ice in winter, knows the value of iced coffee. That comes through wonderfully at Velodrome Coffee, which features iced coffee so good that even those who don't particularly like it find it tasty. That's what the customers are saying, and you'll be able to try an iced Puerto Rican coffee, among several other varieties. Best of all, you'll even discover that the coffee offered therein has a story behind it, down to who handles it. Their most recent addition, the Long Miles Burundi coffee, which required significant infrastructure development to even arrive in Michigan.